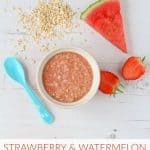 Babies will love this deliciously sweet combination of strawberries, watermelon and oats. 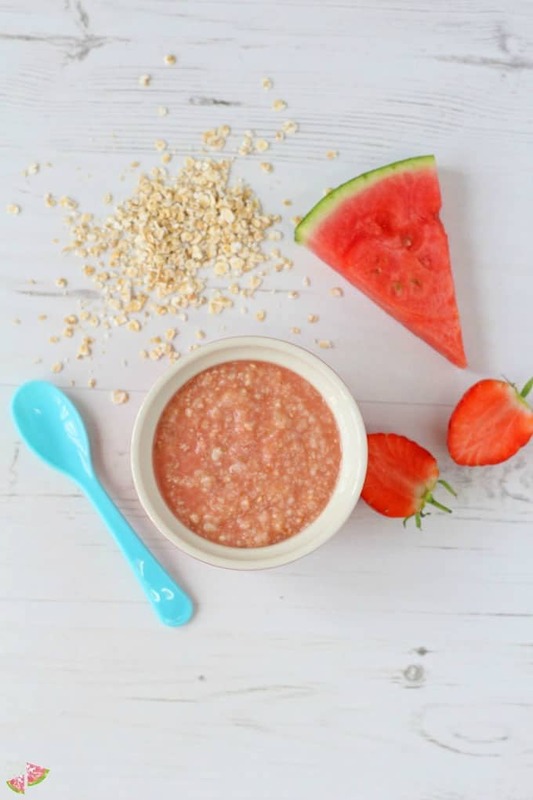 The perfect summer meal for a weaning baby or toddler! 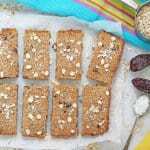 Both my children are well out of the weaning stage by now but I still get lots of requests to post some of my favourite baby food recipes and the ideas that worked for me. 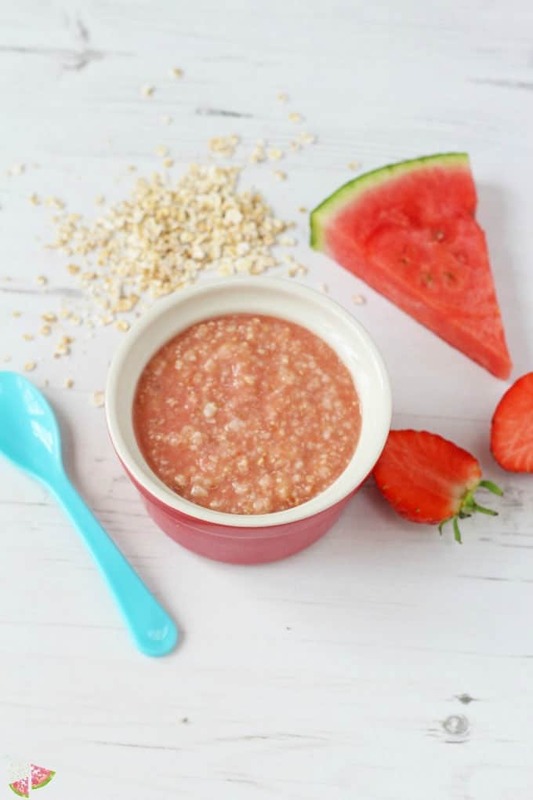 So today I’m sharing my recipe for this delicious Strawberry & Watermelon Porridge which makes such a great summery breakfast for weaning babies or even toddlers too. Weaning babies can be a very stressful time. We put a lot of pressure on ourselves to introduce so many different foods to our little ones in such a short space of time, not to mention prepping and cooking a zillion different types of purees in one day! When it came to weaning my son I found that by using simple ingredients that I already had in the house, I could make delicious and nutritious meals for him that didn’t require a lot of time or effort. 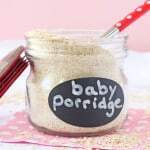 Porridge or oatmeal makes such a fantastic starter food for babies and by mixing it with different flavour fruit purees, you can make a whole variety of tasty and filling meals. We have an abundance of summery fruits around at the moment making it the perfect time to try this combination of strawberries and watermelon. So sweet and so delicious! I used rolled oats to make this porridge but you can use your babies usual oatmeal or porridge, made with their usual milk. You could also use baby rice too. If you try this recipe with your little one please do let me know what you think. And tag me in a picture on Facebook or Instagram using the hashtag #myfussyeater. I really love seeing all your pictures of my recipes and your little ones enjoying them! 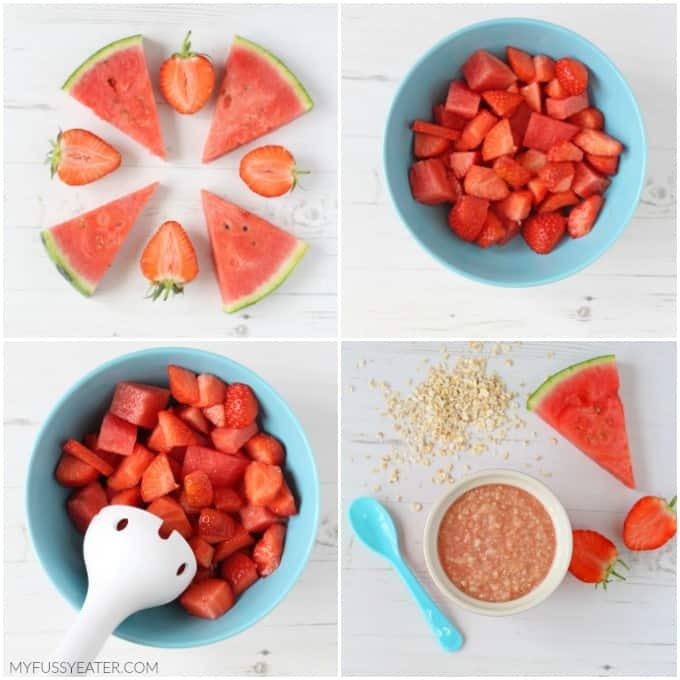 Blitz the strawberries and watermelon into a puree with either a hand blender or in a stand blender. Mix 1/4 cup of the puree with 1/2 cup of your baby’s usual cooked oatmeal or baby rice. The remainder of the puree can be kept in an air-tight container in the fridge for up to 48 hours or can be frozen in chunks in an ice cube tray. Serve to babies from 8 months plus. 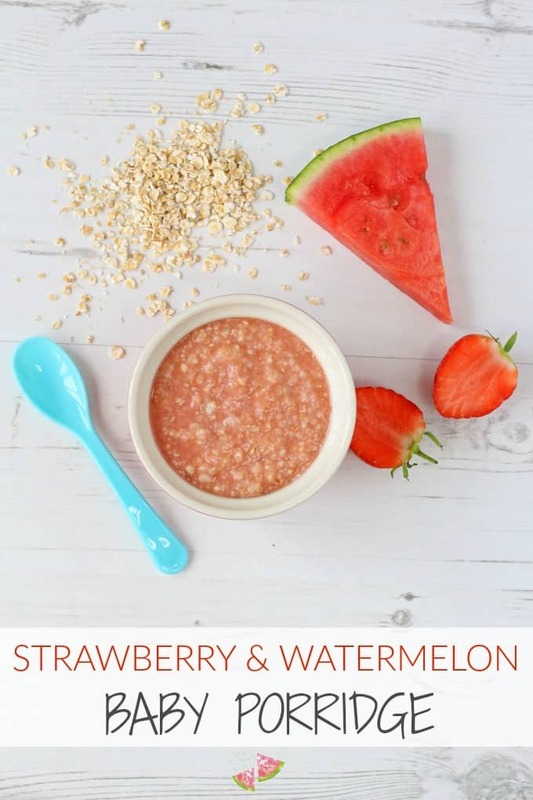 We are past the weaning stage but we are definitely trying this for the kids when summer eventually arrives as the combo of strawberry and watermelon in porridge for brekkie sounds so fresh and tasty! 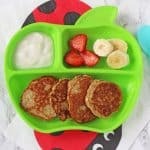 This looks so lovely, I will give it a try when my baby starts weaning in a few weeks, I am sure my older boys would enjoy it too! It is really lovely. The fruit helps to make it so sweet!